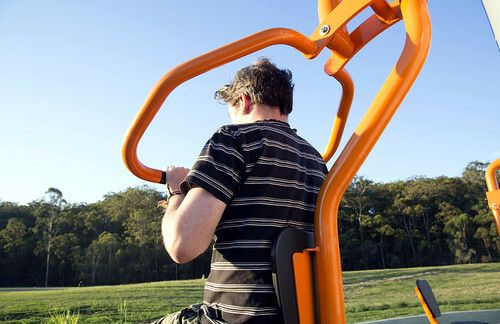 More than 150 of Brisbane City Council parks have exercise equipment installed in them. The exercise equipment provides an opportunity to exercise and get fit outdoors for free. Exercise equipment is different in each park. Some parks include simple, static equipment for chin-ups, sit-ups and step-ups. You can also find interactive and movable equipment with cardio and resistance. These features are similar to indoor fitness equipment including rowing and stepping machines. Many pieces of equipment have instructions for use. Find park exercise equipment in your area. View photos of exercise equipment in Council parks as a slideshow below. You can also view photos individually in the exercise equipment album in Council's Flickr account.